2, 3, 4 and 5 BHK apartments by Paranjape Group at Hinjewadi, Pune. Welcome to Blue Ridge, Hinjewadi. A world where world-class amenities meet international work spaces. A township that blends the best in residential housing with the best commercial space on offer. Strategically located in Hinjewadi, the IT hub of Pune Blue Ridge consists of a Special Economic Zone (SEZ) and residential luxury that is unparalled. The Blue Ridge SEZ will cater to the new age IT/ITES industries and offer work and leisure facilities that are unheard of. You can walk down to the golf drive each time you want to unwind! 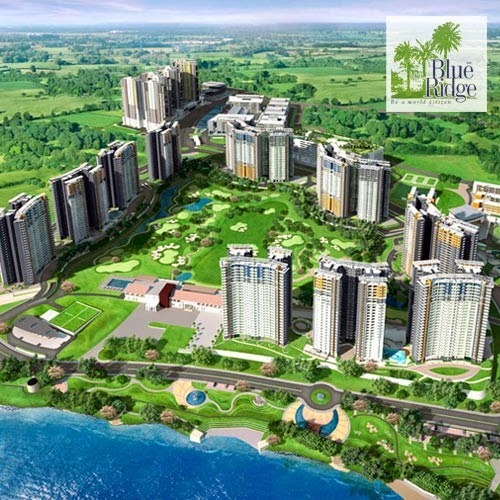 With high rise apartments, luxury villas, service apartments, a sports zone, boat club, butterfly garden and a host of equally impressive amenities, Blue Ridge is the beginning of a new world.